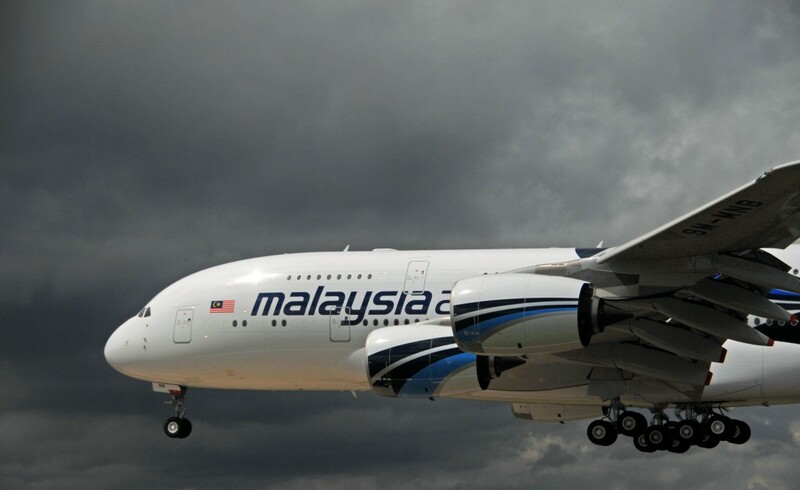 Malaysia Airlines has partnered with Chef Richard Corrigan, one of the UK and Ireland’s most esteemed chefs and restaurateurs, to create and launch a limited edition in-flight menu from February 2014. Drawing inspiration from his two flagship London restaurants, Corrigan’s Mayfair and Bentley’s Oyster Bar and Grill, both renowned for their outstanding menus comprised of the UK and Ireland’s finest ingredients, Richard Corrigan’s signature menu will be available to First and Business Class passengers flying on Malaysia Airlines’ double daily A380 service from London Heathrow to Kuala Lumpur International Airport. Richard will create seasonally changing appetisers, mains and desserts which will live alongside the traditional Malaysian menu, comprising signature dishes from Richard’s restaurants given an Asian twist – from Corrigan’s game to Bentley’s inspired seafood appetisers. Richard’s extraordinary career, spanning his work as a first class restaurateur, broadcaster, author and journalist, has seen him acquire a number of accolades over the years. He has attained a Michelin star, his restaurants have won countless awards, he has cooked for the Queen and is recognised as a pioneer of the slow food movement and champion of using seasonal, local produce in the UK. Malaysia Airlines’ Area Manager UK and Ireland Weng Chi Lee said, “Malaysia Airlines is dedicated to providing a world-class dining experience and we can think of no one more passionate to bring a taste of British and Irish flavours to our in-flight dining experience than Chef Richard Corrigan.”. Chef Proprietor of Corrigan’s in London’s Mayfair since 2008, Richard’s multi award-winning fine dining restaurant has twice been named London Restaurant of the Year, serving up specialties of wild game, meats and pies in a daily changing seasonal menu. 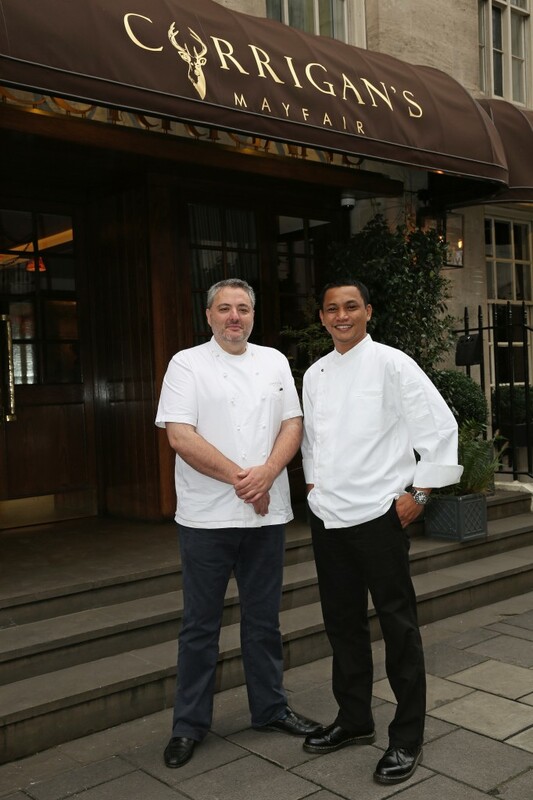 In 2005 Chef Richard took over the iconic Bentley’s Oyster Bar and Grill in London’s Piccadilly, now renowned for its wild sourced British and Irish oysters shucked and served at the original art deco Oyster Bar and seasonal fish, scallops and shellfish served in the Grill and al-fresco Terrace. London diners can also enjoy his dishes at the Bentley’s Sea Grill in Harrods Food Hall. Chef Richard Corrigan will work closely with Malaysia Airlines’ Head Chef Zahiddin to develop a menu of starters, main courses and desserts, which will be rolled out over a 12-month period. The dishes will complement the traditional Malaysian menu served on board, including the signature Satay, which has been awarded the prestigious ‘Best Signature Dish’ award from SKYTRAX for the past two years, and the Chef on Call service, which provides premium passengers with the chance to pre-book a huge selection of restaurant quality meals 24 hours in advance of travel. The partnership is part of a global Malaysia Airlines’ culinary campaign, which will see the five-star airline team up with influential Chefs in key markets to create unique signature in-flight menus.